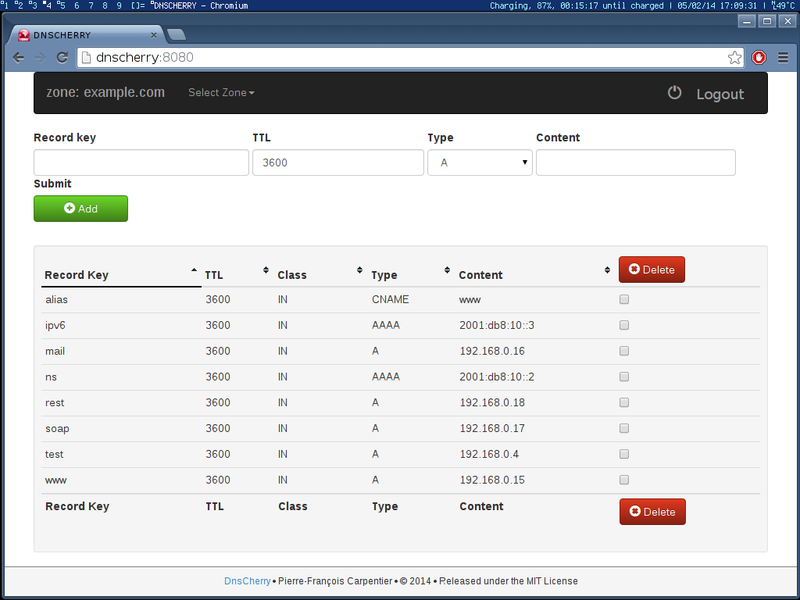 DnsCherry is cherrypy application to manage dns zones. DnsCherry aims to be a simple to deploy and to use Dns web interface. © Copyright 2014, Pierre-Francois Carpentier. Last updated on Mar 10, 2017.